How (not) to dissolve Xanthan gum (and other gums) - heureka! How (not) to dissolve xanthan gum (and other powders) – heureka! I confess – having to use a powdery ingredient that gets readily lumpy in my formulations is a nightmare for me. Xanthan gum, guar gum, hyaluronic acid, allantoin…. you name it! Gums are worse, as they tend to swell, making it even more difficult to dissolve. The real horror starts when you try to make a transparent gel, where every smallish lump is visible. But yesterday, I found my inner peace and happiness with xanthan gum 🙂 For the impatient, go to point 4. 1. Adding xanthan gum in your water phase in small doses, stirring thoroughly until it completely dissolves – FAIL! This method works… but, I tell you what – I do not have patience, nor time for that… the small doses are really really small and xanthan gum is very light so if you try to dissolve 1-2%, or even more, it is a fairly large volume to work with. Moreover, with every dose the gel thickens and xanthan gum dissolves even worse. I started to use this method as an alternative to method 1. It is not bad, but you really need to know how much of water to add. Too little or too much too fast will result in a big lump difficult to dissolve. And again, you need to stir, stir and stir… which again is not an option when you have surfactants in your formulation. 4. Mix your xanthan gum with glycerin or oil – THE WINNER! 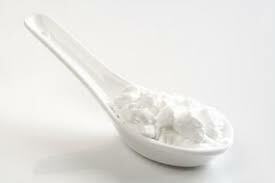 The problem is that xanthan gum (or guar gum or any other thickening gum) starts to swell in contact with water. If you are not fast or cautious enough, lumps create as the particles are being trapped in the gel. The trick and beauty of this method is that if you dissolve xanthan gum in glycerin or oil, the particles won’t start to swell, but will get dispersed. Then, when you add water phase (preferably warm, around 50°C), only a light stir is sufficient to distribute all xanthan gum (unless you need to stir well to form an emulsion). If you have oil in your formulation, dissolve xanthan gum it the oil phase. If you do not have oil, use small amount of glycerin. Can you add more methods? Leave me yours in the comments! This entry was posted by evik on September 24, 2013 at 11:26, and is filed under about ingredients, cosmetics making. Follow any responses to this post through RSS 2.0.You can leave a response or trackback from your own site. I love this kind of posts about what not to do or what didn’t work! Really enjoyed reading this. Very informative. thx a lot. i got the ans when i need it most urgently. i am also stuggling with all the dont’s. Hi Sankar, happy to help! Great article, and I totally agree with you. 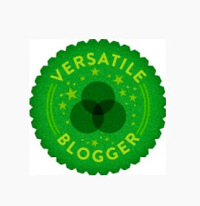 Thanks for being so thorough and sharing your fails and successes, it shows your passion and expertise. I have a question. In making a shampoo without water, the main ingredient is liquid castile, and two lesser ingredients are aloe gel, and vegetable glycerin. Do I mix the xanthan with the glycerin, then add that mixture, at the end, once all else is mixed? Will the xanthan/glycerin combo thicken the shampoo, or do I have to heat it in order to activate its thickening qualities? Your insight would be greatly appreciated. Hi Annabelle, I believe the best would be if you used only salt for thickening your castille soap – use about 1 teaspoon to 8 oz of soap. Let it dissolve without stirring and then stir it in. If you need thicker product, add more salt. THANK YOU FOR THIS. I TRIED THE XANTHAN AT 1/4 TSP AND IT DID NOTHING. I ADDED ANOTHER 1/4 TSP AND I ENDED UP WITH AN OVERLY FROTHY GEL LIKE SUBSTANCE THAT EXPANDED AND MADE IT DIFFICULT TO PUT INTO A CONTAINER. HOWEVER, THIS BATCH OF SHAMPOO LEFT HAIR SILKY AND SO VOLUMINOUS THAT I KEPT PLAYING WITH MY HAIR ALL NIGHT. I’LL DEFINITELY TRY THE SALT AND THANK YOU AGAIN FOR YOUR EXPERT ADVICE. omg. I was just about to try thickening my castile soap with xanthan. Thank you for sharing this info! It is the first I have seen it. Now I am stumped. I will try salt again. My formula for my dish soap is mostly distilled water (45%) and liquid castille with the addition of some decyl glucoside & coco betaine plus glycerine, cirtus/limonene EO and polysorbate. I have used salt to thicken the castile, and I get good results … until I add the eo/polysorabte UGH – it turns back to a watery liquid 🙁 my EOs are 1-2%. I had hoped a veg gum would be my solution. Any suggestion advice comments are greatly appreciated! ps (i will next formulate with a preservative, I like this in a foaming dispenser. smells like heaven. I sure hope you have some advice! Maybe it is how I am adding the salt? Hi Valerie! I didn’t have yet time to pursue my research on thickening soap by other alternatives, however, I believe your problem may be the you adding the citrus EOs, which have overall “thinning” effect. Could you try without? When you say “high alkaline” what pH are we talking? And what is the ratio of Xanthum Gum to Glycerin you propose? Brilliant, thanks for the tip. I just wanted to say that you will be in my prayers forever! I was reached the point of desperation… until I found today this post. THANK YOU, simply THANK YOU! Because the words are not enough to express what I am thinking of you and your need to share your passion and findings. Evik … you’ve saved my sanity. XG has been a huge source of frustration for me, and I thought I’d tried everything – except, of course, glycerine. Thank you, thank you, thank you. When you say use oil, do you mean any oil? Kirk, yes, any oil – it depends on your recipe! Hello Evic! I tried this tonight with guar gum on a shampoo formulation that does not have an oil phase. I tried to mix into the water phase, then add that to to surfactants. It gelled in the bowl once I added water, and formed clumps. I went ahead and put into surfactants, where it stayed in clumps. (Coco betaine and decyl glucoside) I totally forgot to drop ph of surfactants (8.1) before adding the guar/water mix. Is this the reason it didn’t mix? Or should I have just mixed the water and surfactants, dropped ph, then added the guar/glycerine mix? I am new to making shampoos and trying to keep this formulation as simple as possible! (Did not add soy protein, Vit B, or scent for fear of having to toss the whole mess- which I did!) Thanks for any input you can give! Hi Sunil – if you cannot add oil, than you can use glycerin. Thank you for sharing your experience with us. I have just tried this method with oil, it works perfect. Thank you and God bless you. Hi GGjaneful, you are very welcome, I am happy it works! I tried to dissolve gum guar in the oil. Works great but in 20 min 30% of guar was on the bottom. My question is if is possibil to find an suspending agent to make it suspend in oil. Hi Adrian, I am not really sure why would you like your guar gum remain suspended in oil for long time. If it is to make an emulsion, then what I do is I stir the oil with guar gum well to distribute it evenly and then right after I add it to the water phase, continuously stirring. Hey,thank u so so much.i started to produce my own shampoo n conditioner for my personal use,and this gummy stuffs was a nightmare. But with ur tip I have been saved and now I make for my friends and family,who knows maybe for the market too,becoz they all love my product and always ask for more. Hi! Evik! Im really new at this and I have a question… I have this great recipe for lotion, but there is no water in it, does the xanthan gum or any other gum works for this kind of oily/no water lotion? I hope it does, cause I dont want to add water to it. Hi Beatriz! So if I understand, you wish to thicken your lotion? Xanthan gum or arabic are not really going to help, since they depend on water. If you wish to thicken your lotion, there are two ways – increase the quantity of solid oils – butters, fats – or add some if there are none; or add some beeswax or other natural wax to it. If you share the recipe, I could help with that. Hello again Evik! Thank you for taking the time to answer. I dont want to use water so I dont have to add any artificial preservative or having to keep my lotion in the fridge. Do you have any advice to make it thicker? Hi Beatriz, it seems to me that this lotion would be rather a balm, certainly not liquid, did you already try it? I don’t really like recipes with “kitchen” measures, since they are not very precise and it gets difficult to rescale them, however, you can do two things: cut on the almond/olive oil and increase coconut oil or beeswax – you can start with using 1/4 cup almond oil instead of 1/2 cup. The beauty of the recipe is that you can remelt it how many times you wish and adjust by adding coconut oil or beeswax or almond oil/olive oil until you are happy with the consistency. Do not forget to take notes of how much of what you added (it is easier to do so if you measure by weight). Let me know how it went! Hi Evik! Can you advise on how to improve transparency of shampoos made with guargum? Hi Abhishek, I am afraid I cannot be of help here, never attempted this! If you found something in meantime, let me know! Oh, thank you thank you thank you for this wonderfully simple solution! Ms Gothika – you are welcome 🙂 I know how you feel! How much xanthan gum do you use and do you just stir it in your lotion recipe or do you somehow melt it in? Hello. Thanks for the tip. I have already made my liquid soap and would like to add Xanthan gum to thicken it into a shower gel like consistency. Do I dilute and add the XG into the diluted paste? hi Evik. how much percentage xanthan gum & glycerin? I used xanthan gum to thicken a liquid bade (not castille) and now the base has a SUPER slimey feel to it. Any thoughts or suggestions? Did u ever get an answered to this? I’m in the same situation. I have been debating on whether I should thicken my body wash or not. It’s a bit runny, but works really well. I think I may try your method on a small amount to see how I like the consistency. I’m thinking about selling my soaps at the farmers market, so I need to perfect them. i just make it however i want, and then filter out the clumps using a standard kitchen sifter. works just fine. Hi JD – thanks for feedback, I did it the same way, but I found it very messy. It can be also more difficult when you make larger batches. Can give an estimation for ratios of glycerin and Xantham gum? I have a beautiful bar of pure castile soap- 95% olive oil, to which I add water, vitamin e as a preservative and essential oils to make a liquid soap. Ratios would be great so I don’t ruin too many of the bars! Hi Amergho – well, I just use as much as covers the xanthan gum and it still stays liquid. I did not really measure the proportion of xanthan gum vs glycerine. For your liquid soap, I don’t think it will work long term, since sodium soap (bar soap) eventually separates from water. Also, I don’t think xanthan gum is a good option for thickening soap – it gets slimy and a bit sticky and not thick enough anyway (as its thickening action depends on the amount of water). Xanthane gum can be fully dissolved in water at normal temperature by vigorous stirring for 1 h. the amount of solvent Solvent must not be insufficient for its thicker nature. Hi Ibtisam, I believe so, since spirulina should not affect xanthan gum properties. How does xanthan gum affect lather creaminess, especially uf I’ll also use fresh aloe gel ? If you ask for lather in a surfactant product, then it very much depends on what type of surfactant are you using. Can you be more specific? Hi, can xanthan gum harden solid bar soap? Thanks. can anyone please suggest me…. so XG can healp me to avoid sepration of oil..?? Hi pinakin, if you are mixing water-based product (I don’t know what it is you use) with oils, xanthan gum won’t help you. You need a proper emulsifier to do that. Hello. Thanks so much for sharing your method. Before reading this post, i just add xathan gum directly to the water, and it was a mess. Cannot remember how much gum i wasted. 😂 i tried your method and finally succeed. By the way i still have some problems. 1. My lotion is heat-method and i just wonder something. If using glycerin, then after mixing it with xanthan gum, do i have to add warm water or cold water? Cause i have to heat the oil to 120°F And after adding water, may i stir it all right away? And stir in how long? Hope its clear to understand. If using oil, then when to add gum? Because i have to heat the oil too. 2. Im trying to make facial cleanser with cocoyl taurate, but dont know how and when to add that surfactant. Any suggestion for me? 3. If use castile soap (from koster keunen), and how can i thicken it if cannot use salt? Maybe cetyl alcohol? Or stearic acid ?? Im going to try on sodium carbormer and carbormer 940 (lunamer 60p). Dont know if it works. Just some problems i want to share. Any insight will be greatly appreciate. 1) I definitely add warm water, since you need to have both phases the same temperature (oil and water) when you do heat method. So, heat the water and add it to glycerine with xanthan gum. Stir until it becomes jelly like consistency. Then add your heated oils. When adding to oils, you can heat your gum with oils first (do not overheat!) and then heat the oils. 2) What is the recipe for the cleanser? I usually mix the surfactants with water, heat it and then add to glycerine with xanthan.Do stir very gently so that you do not make too much bubbles. Great article! I have been trying to recreate a great natural hair pomade that i originally made with beeswax bit i am now attempting to make it vegan. All of the plant based waxes that i have tried just don’t have the same flexibility that beeswax has when it has hardened. I wondered if i could add xanthan gum to the recipe to try and get that same flexibility out of a plant based wax?? What do you think? Evik, Thank you for all of your help. I am hoping that you can help me determine whether or not xanthan gum is the right thickener for me. I would like to start a business for all natural self-care products for men and I expect to have 5 different scents that serve as themed lines for my products (soap, beard oil, pomade, body wash/shampoo, etc.). Each requires a different blend of essential oils. In these blends I use varying mixtures of cinnamon, clove, cedarwood, vanilla, orange, lemon, grapefruit, peppermint, eucalyptus, and lavender essential oils. Presently, my soap recipe performs wonderfully, but the delivery is wet and runny. I was hoping to use xanthan gum to thicken the recipe. I expect the citrus nature of some of these oils to have a thinning affect if I were to use salt as a thickener and you’ve mentioned that you do not recommend xanthan gum for liquid castile soap. Any suggestions? Love your post! I have tried to dissolve the Xanthan gum in oil before to add to a natural lotion and it will not absorb the oil. I have tried it with Argan oil and olive oil but after days sitting in the oil it’s still a sandy, gritty clump sitting at the bottom of the jar. I tried to heat it a little in a water bath like a double boiler and still nothing, I also stirred this quite a bit over the few days. I am hoping that the Xanthan gum can help the lotion feel less greasy and more like lotion without adding water and an emulsifier. Hi Courtney, thank you for your post. Xanthan gum does not dissolve in oils, it rather disperse in oil. The aim is to help it disperse enough so that when you add water in it, it does thicken evenly, since it absorbs water. 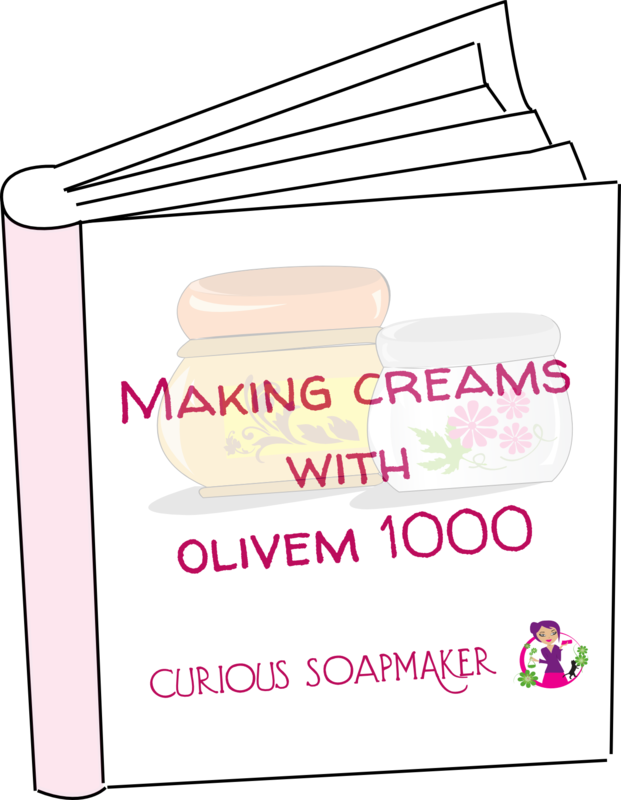 Hi Osman, well, thickening soap is very tricky. Xanthan gum won’t work, nor the corn starch and I believe nor the arabic gum. If I can recommend – evaporate as much water as you can from your soap and add glycerin to make it of the consistency you desire. so to increase thickness of product i am using xanthum gum so what shall be solution to this? Hi Yaduvara, what you are describing maybe reason of incompatibility of some ingredients. Xanthan gum is incompatible for instance with grapeseed extract, making unnice fibres. However, it can be also the procedure you are using to mix everything togehter. It is very difficult to help if I do not know the exact recipe..
Then adding all the other surfactants followed by other ingredients to the gel with slow stirring for about 15 minutes. First off, thanks for sharing your expertise, it is so very appreciated! Question: would it be better for me to mix everything in the same order but leave out the guar gum and either glycerin or oil (whichever you think would be best), mix those two together (and do I let those sit a bit?) and then incorporate that mixture into the rest? And, would the guar gum dissolve better with heat? Looking forward to your reply, thanks so much for your help! OMG autocorrect so sorry I meant Evik! What about peanut butter? I’m making natural PB which doesn’t seem to have much water at all. It’s too runny so I want to thicken and stabilize the PB. I added Xanthum at .1% and no thickening happened at all! I need it thicker. Will it dissolve in just the oil of the PB? here is a new one! In my frustration with me using for the first time Xantham Gum, stumbled into the same problem as everybody else. The powder is not desolving! I found if I use the hand blender that would do the trick but also if I put some Xantham gum powder into a squise bottle and leave it for a few days, that worked as well. hello Evik. thank you si so much.ur a life saver. but i have this question. is there a particular in making lotion without heating oil phase ans water separately.? meaning can can all the ingredients be mixed in 1 pot..? Hi Anthony, yes, some of the emulsifiers have no trouble with the one-pot technique. It gets tricky when you have water in oil emulsions, though. It depends a lot on the emulsifier and how good your blender is. I wish I’d come across this website earlier, all I’d aspired for since ling, compiled majestically in one place! Great Work. 🙂 … I’d be really glad if you could help me with a recipe I’m looking forward to make . (I’m new to all this, it’s going to be my first experiment) and hence hope it doesn’t go wrong. I’m trying to make a gel/ serum with 1-2% oil and remaining rose water (with rosemary E.O and Vit E oil as a preservative. What should I use to emulsify the mixture (gel-like, slightly runny) soya lecithin or xanthum gum or both? Do let me know if I can use carboxymethylcellulose I have read about it, but not sure how to use it. I’d be really kind if you could help. Hi Abhay, your liquid soap is made from which ingredients? Is it potassium soap? Hi Keith, happy to help!